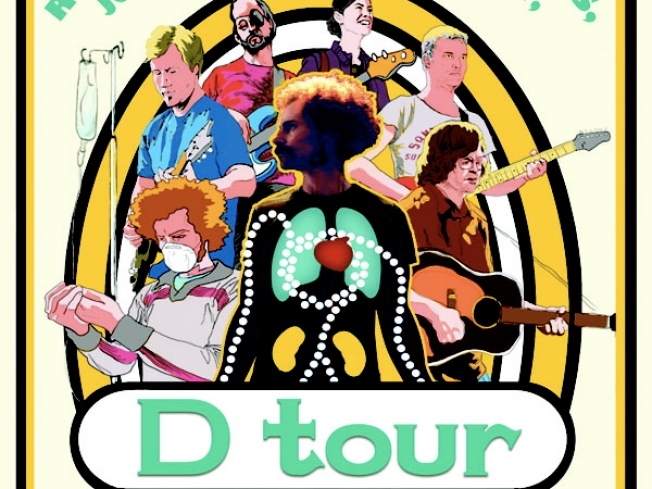 D-Tour, a rock n roll film about life, death, and bodily functions. ROGUE KIDNEY:Pat Spurgeon, drummer of the Oakland-based indie rock band Rogue Wave, has two furious drumstick-wielding hands but only one kidney. The documentary D-Tour starts as the organ begins to fail. Spurgeon documents his search for a new one (he's on a six-year waiting list) and his struggle to balance health with the work he loves. Tonight at the Roxie at 7 p.m. only. CHOPPED AND SCREWED, BIKE EDITION: Every bike goes through the cycle of life, why discard a faithful and favorite machine when time takes its toll? Tonight visit the Bicycle Craft Workshop and learn to make several creative projects out of discarded bicycle parts and other scrap materials. Materials will be provided, but bring small wire cutters, needle-nose pliers, or scissors to the San Francisco Bicycle Coalition at 6:30 p.m. Before you go, check out these bike gear clocks for some inspiration. STELLA! : A name that signals instant passion in film - remember Marlon Brando screaming up a staircase in A Streetcar Named Desire? Tonight Landmark's Clay Theater at 7 p.m. trust that French director Sylvie Verheyde's Stella lives up to the moniker. This story of socially isolated 11-year-old girl attending her first year at an affluent middle school in 1977 is rebellious, insightful, semi-autobiographical, and, of course, passionate. Buy tickets here.